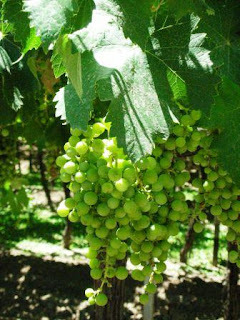 The province of Mendoza is best known of the wine region of Argentina with numerous vineries producing excellent Malbec, Tempranillo and Savinion. After finishing the Patagonia trip we left Santiago the next day and took a bus across the Andes through the border back into Argentina towards Mendoza. 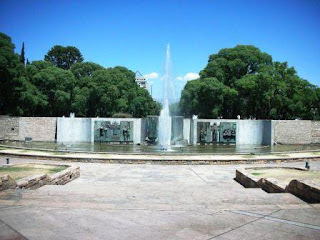 The city of Mendoza is quite a pleasant place, quite green with some pretty parks and tree-lined streets. For most of the people it’s a base for exploring the wineries, trekking into the Andes or getting involved in adventure sports such as white water rafting. Trip to the National Park for a view of Acocangua – the highest peak in America and the highest mountain in the world outside the Himalayas. At 6959 meters it’s a monster, although relatively easy to ascend without technical climbing. 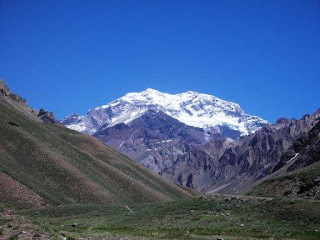 The ascent usually takes 2-3 weeks starting from the small town of Puenta del Inca at an altitude of 2758 meters. 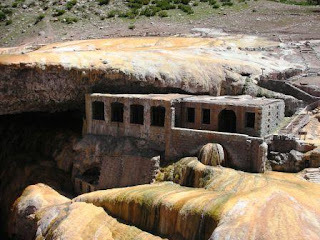 In Puente del Inca there is also acient baths. 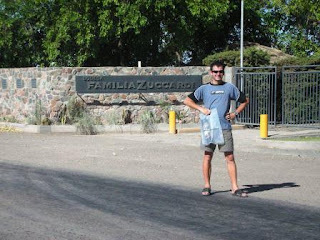 Our trip to the winery Bodega Familia Zuccardi, which is well know from producing some excellent Malbec and Tempranillo in a form of it’s Z and Q ranges and the popular Santa Julia range. It was a nice way to spend a day with a winery tour, wine tasting and a full 5 course lunch. Hello and Happy New Year. With all those winery tours that you had, I hope that next time we go to a restaurant you will be the expert to order the wine. Have fun!! If I remember correctly you are planning now to be at New Zealand? It was 2 months at South America, and you have seen so many places. Not to mention all those steaks and wines that you had. I am curious to see the next photos from NZ.